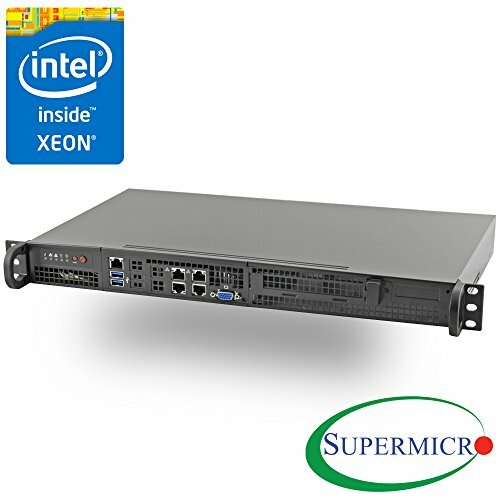 This mini 1U rackmount server features the Intel Xeon D-1518 Quad Core Processor with two 10 Gb Ethernet ports (10GBase-T), two additional 1 Gigabit ports, and a dedicated IPMI port. The entire configuration is enclosed in a compact (9.8" depth) 1U rackmount enclosure with front-access I/O ports. The Intel Xeon D provides a power-efficient platform that consumes less power and generates less heat than conventional server platforms. This server is suitable for Cloud and Virtualization, networking and other embedded applications.